Grain-free Lasagna (You won't miss the pasta, I promise you!). We absolutely love Italian food in our house. 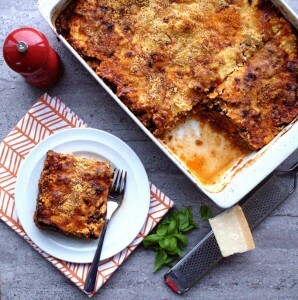 One of my favourite dishes is lasagna. Having spent some time living and studying in Italy, I discovered many variations from friends along the way. I learned quickly from natives that bolognese is in fact a “meat sauce” and doesn’t resemble the watery sauce often served in non-authentic Italian restaurants here. As a result, I put a lot of effort into developing this grain-free lasagna and trying to make it as close to the Italian classic as possible. All while making it SCD-legal of course! When I first decided to go grain-free, I wept. Literally. I wept for two hours solid, crying for all the food I would no longer be able to eat. Yet, I knew this was something I needed to do for my health. Top of my mourning list was pasta: how would I ever live without pasta? I used to make a big batch of lasagna every month at least and I couldn’t see myself living without it. 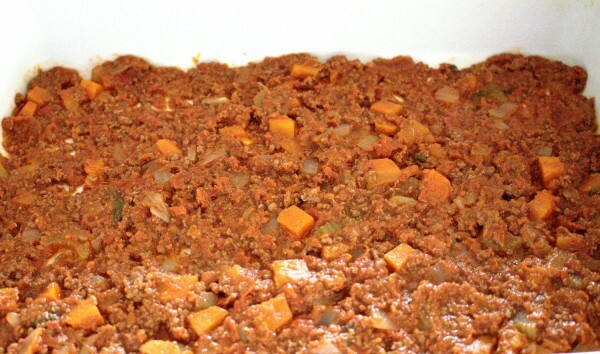 I was on the SCD quite some time before I even attempted to make a grain-free lasagna. 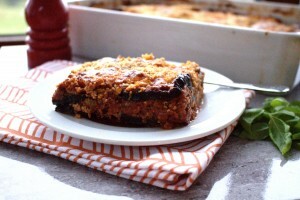 Inspiration for this comes from a mixture of my classic lasagna recipe and the moussaka recipe I used often make. After a few attempts and quite a few tweaks, I am really happy with the results and I would gladly serve this to any Italian friend. My husband loves this one as much as me and trust me that is saying a lot. He’s quite picky 🙂 This freezes really well so it’s well worth doubling the recipe to save yourself some time during the week. As with any Italian inspired dish, good quality ingredients are hugely important. I buy our meat from our local craft butcher. The tinned tomatoes “Mutti” brand, come from our local Italian shop and are 100% sugar-free. I buy the Parmesan cheese ungrated and grate it at home for the best flavour. The basil is fresh from our herb garden. After all, when you are going to the effort of making a masterpiece dish, only the best ingredients will do! 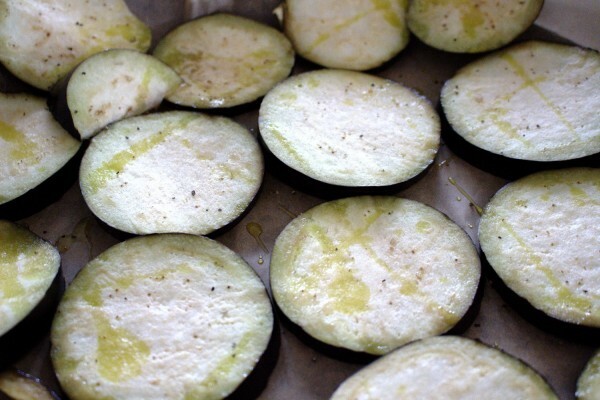 If you love this recipe, you’ll also love my Italian inspired aubergine/eggplant mini pizzas. A delicious grain-free lasagne with an authentic Italian bolognese sauce. Start by making the bolognese sauce. Melt the butter and oil in a large saucepan on a medium-low heat. 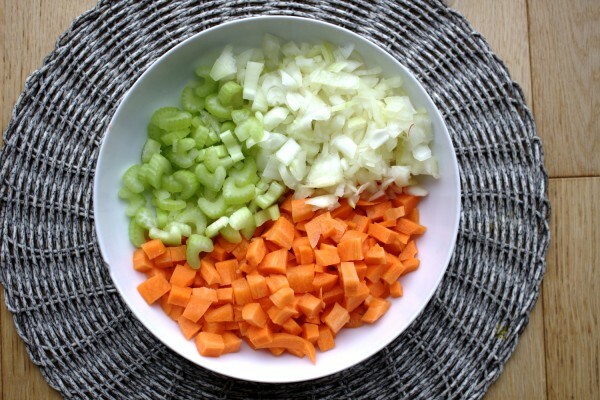 Add the carrots, celery and onion. Sauté for a few minutes until the vegetables soften and the onions become translucent. 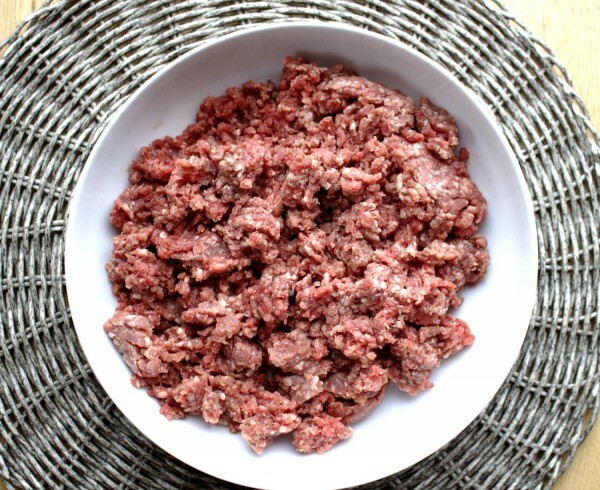 Add the beef mince in with your hands and stir through the vegetables. Next, add the red wine and continue to cook for a few minutes (roughly 5) until the wine reduces. Add the tinned tomatoes, basil leaves and season well with salt and pepper. Leave to cook for 1 hour on a low heat, stirring often. 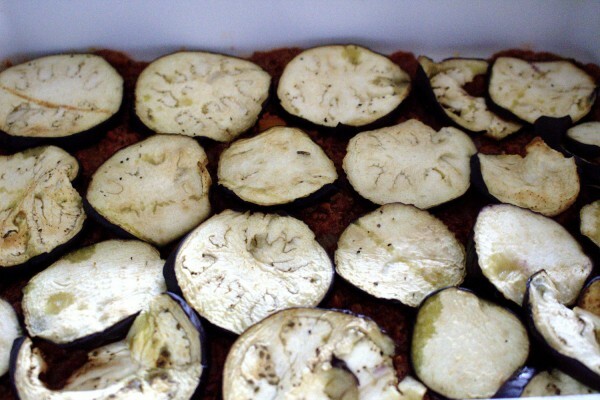 Meanwhile, heat the oven to 180°C Fan, 200°C electric, 390°F or gas mark 6 and prepare the aubergines/eggplant. Wash, top and tail and slice evenly into 1/4 inch thick slices. 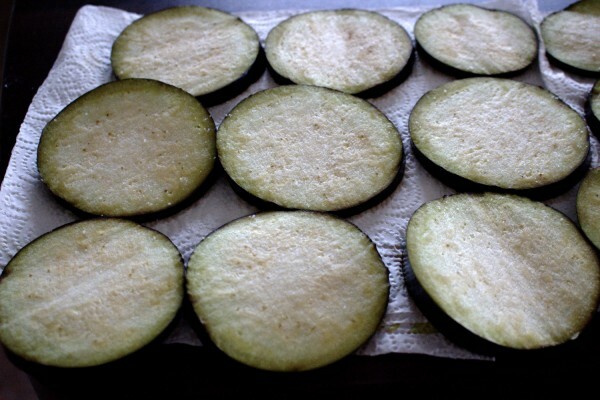 Place the slices on paper towels, season generously with sea salt and allow to sit for 15 minutes. This will draw the bitterness out of them. After 15 minutes you will begin to see beads of sweat appear on them. Pat them dry with more paper towels. 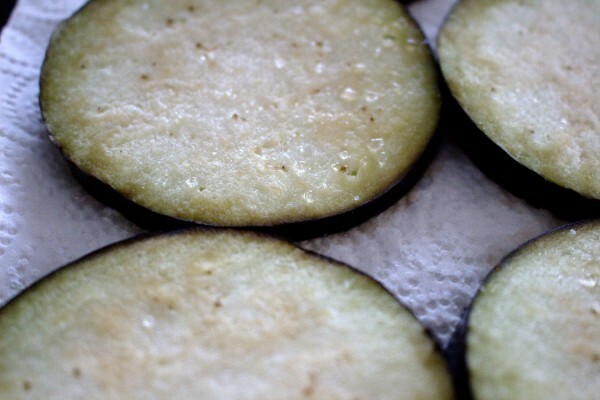 Place the aubergines/eggplant slices on baking trays lined with parchment paper. Drizzle with olive oil and season with a pinch of black pepper. Roast for 15 minutes. 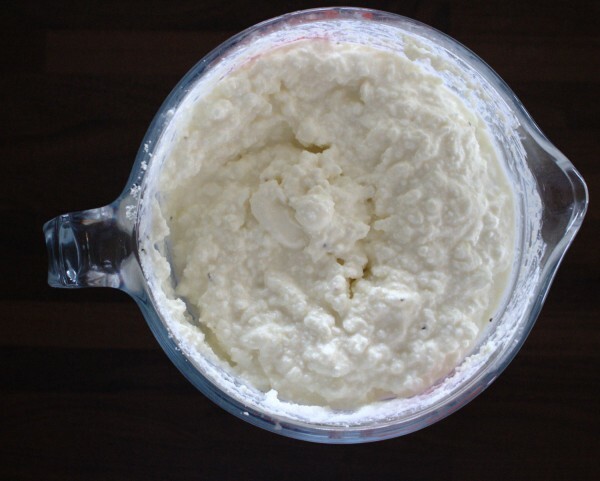 Next, make the "white" sauce by mixing the dry curd cottage cheese, parmesan and yoghurt in a bowl. Season with salt and pepper. Keep the cheddar cheese separate for the moment. 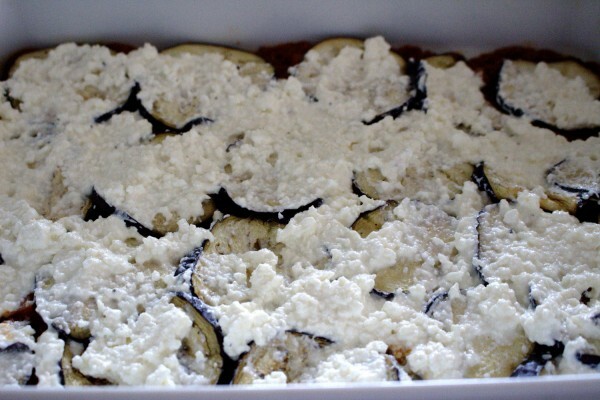 Grease the bottom of an ovenproof casserole dish with one tablespoon of olive oil. Add a couple of tablespoons of bolognese sauce. 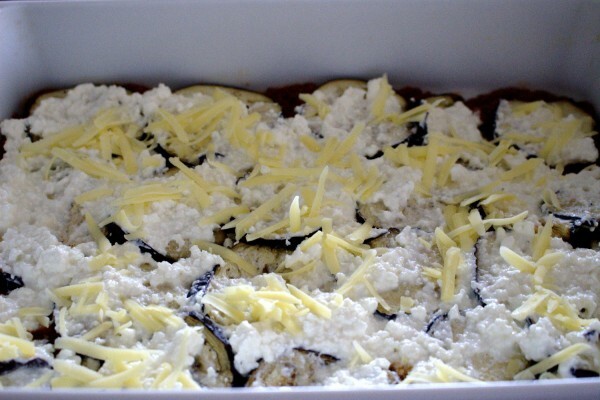 Next add a layer of aubergine/eggplant slices. Spoon over some "white" sauce next. Finish the layer with a sprinkle of cheddar. Keep layering like this until you run out of sauce and slices. For the last layer, finish with white sauce, cheddar and sprinkle over the ground almonds or almond flour. 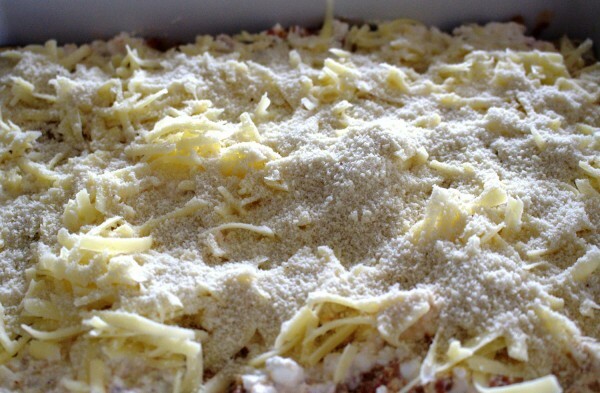 Bake the lasagne for 40-50 minutes until the top is crispy. * I always recommend using blanched almond flour rather than ground almonds in my baking recipes. Almond flour is much finer and is easier to digest than ground almonds. However, in this recipe ground almonds work just fine.